That’s Sylvan Tieger on revolutionary ClogChopper® cutting tool from General Pipe Cleaners. 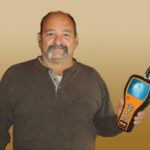 With over 47 years as a plumber, the Bronx-based professional offers a full range of plumbing, drain cleaning, fire suppression and emergency services to commercial, residential and institutional customers in the New York City area. Much of that work is new construction. “That’s where ClogChopper really shines,” he says. Tieger notes that lots of construction debris – like plaster and cement powder – is often carelessly deposited in drains lines. 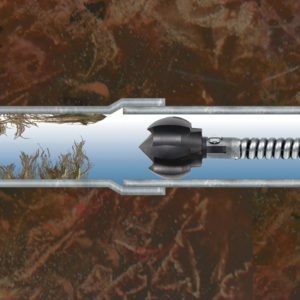 With six self-sharpening blades, ClogChopper digs into encrusted debris and root masses, easily grinding up stoppages, scale and crystallized urine – without risking pipe damage. It works in both directions, into and out of lines – all in one operation. The spherical design also maneuvers around tight bends and traps, thoroughly and safely cleaning metal, plastic and clay pipes. Available in 1”, 1-1/2”, 2”, 2-1/2”, 3”, and 4” sizes, it’s also excellent for clearing stacks, downspouts and mains – as well as for pipe lining jobs. 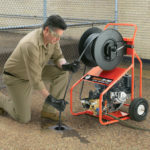 Tieger routinely teams ClogChopper cutters with his Speedrooter 92® power drain cleaner – also from General. 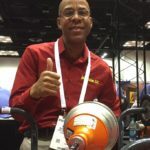 “The combination of ClogChopper and Speedrooter 92 lets me tackle long-run jobs – even longer than I expected,” he claims. Superb for long, tough jobs, Speedrooter 92 blends rugged reliability with optimal control and ease-of-use. Great on tree roots, the field-proven machine features a braced frame at key stress points, a metal drum design for durability and longevity, and Flexicore® cable – the industry standard for toughness. Variable Speed Power Cable Feed makes feeding and retrieving cable easier. It drives 3/4”, 5/8” and 9/16” cables with no adapters needed when switching between cable sizes. Speedrooter 92’s durable design also offers easy handling. One person can easily load it onto a truck. The machine’s frame slides smoothly from the loading wheel to handle to stair climbers and finally to wheels. And the adjustable height, swept-back handle provides maximum maneuvering leverage. Heavy duty Flexicore cable blends superior strength and kinking resistance with just the right flexibility. It carries the industry’s best warranty – one-year protection against breakage. For more information, contact the Drain Brains® at General Pipe Cleaners at 800-245-6200 or 412-771-6300, or visit www.drainbrain.com.